The Fawn legging pattern is your new go-to knit legging pattern. 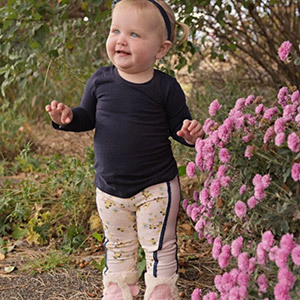 Fawn comes with a simple legging pattern or a tuxedo stripe legging pattern. 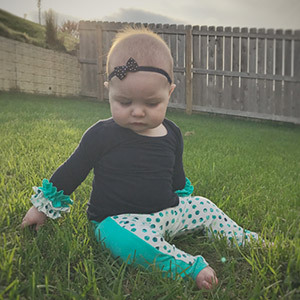 This is the perfect staple item for your little lady’s fall wardrobe. 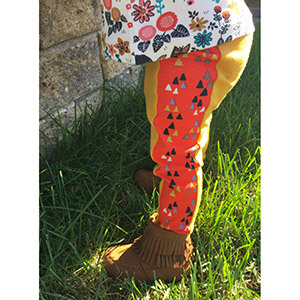 This pattern is available in sizes NB to 18-24m. 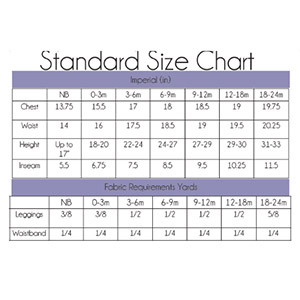 Suggested fabrics are cotton lycra, lycra spandex, brushed poly spandex, or peach skin, chiffon, cotton lawn for the tuxedo stripe.